In modeling it is very important to get associated with a good agency for proper guidance, grooming and launch. A good agency is likely to be reliable and reasonable. Here are a few tips for the young modeling aspirants for finding out a good agency or model management companies in India. Detailed Home work: The modeling agencies are typical small independent business and no two agencies would be working alike. Therefore it is necessary that one must carry out internet search to locate and know about these. You can get handful of important information as to where these are located and how do they operate, especially for taking in new talents. One can always see agency directory. A detailed home work is must. Wear simple clothing and show off your form. No makeup, your face should be clean. The hair should be plain and not styled. Ensure that your do not cover your face. The pictures should be taken outside, stand in the open shade for best results. Any agency would like to see a close head shot and full or ¾ shot so shoot your pictures accordingly. Print your name and contact on the backside of every picture you select for the purpose. Market Study: It is very essential for an aspirant to carry out the market study of the intended field of modeling. You should be able to know about the target market and must know how the business is done there. In this way you can protect yourself from various scams and rip offs. Agency’s Modus operandi: The main purpose of a modeling agency is to find work for models. These agencies at times take commission from models and some work on exclusive contract basis. However these vary from situation to situation, agency to agency and city to city. A good established agency or model grooming centers in India will help to manage your career and find you work. In large cities it can be split into two parts: – Managers and Bookers. When an agency sees someone who has potential, it may invest in that individual, groom and launch in the market. The manager will help to develop your look, modeling skills and natural talent. They will guide and help you on selecting the appropriate field and market since they have the knowledge of market and correctly evaluate your potential. The booking part deals with the prospect clients who use models. They track the client, advertise, carry out calls, do launches and develop business for the agency. They book time for models to work. They handle billing, collection and complaints, if any. A good agency will find you work and earn its commission. This is how broadly an established agency would work. Smaller Market Scenario: The smaller markets may not have modeling agencies operating. Even the high budget clients would also be very rare. In this market, you must have your own marketing tools and system. Under these circumstances the model has to find a job for himself at his own. These were a few tips for modeling aspirants, how to get a good agency and background inputs which will come handy during course of modeling. The Mega Model Hunt will further assist and guide you to groom, provide background knowledge, train and lead to the path of success in modeling world. Like any business or profession, there is always a start up phase with lots of challenges mixed with a variety of experience which is gained during this phase. It is very important for any young aspirant to comprehend the peculiarities of this phase. There are many ways to start a successful modeling career, unlike many other professions having a set course to follow to include Learning, Experience, Test/Interviews and beginning of profession. But it is not same in modeling. The modeling has its inherent challenges which one has to phase. There are basically three ways to start modeling. These are; being discovered; working through model management companies in India or organizing own marketing plan and finding work for you. Before you opt for any of the methods enumerated above, one has to groom and equip oneself for the same. If one has to get scouted then one has to conduct oneself at that level so that you are discovered by model talent scouts. It works out very well but one should not solely depend upon it. With the second and third option one needs to have right material to get on to work. The basics are snapshots, a composite card, Portfolio, may be a website and most important is how one looks. One can start with simple snapshot as long as these are meeting requirements and shot correctly for the intended purpose. The composite card is a single sheet of paper that has a head shot printed on one side and more photos and your vital statistics on the other side. It is a basic marketing tool; you give it to art directors, Photographers, Casting agents and other similar bodies. This gives them some information which can be referred to when they are looking for a suitable talent for the requirement at hand. It is actually your sales brochure as well as business card. If anyone shows interest in you, then he is going to ask to you to show some more photographs, that is where your portfolio comes handy. Your portfolio should contain an assortment of your photos and tear sheets showing what you have done and your “look”. These all should be of an excellent quality. When you are just starting up it is likely that you won’t have any tear sheet (pages from magazines/newspaper with your photographs) as you have not worked as yet, but as you get work, start adding tear sheets to your portfolio, the portfolio should demonstrate enough to indicate what you are about. You should have multiple copies of your portfolio. It should be balanced, easy to look through, rugged and fashionable. Since internet has become very important and it is very essential for a model to have a website presence; Most of the scouting people, art directors and modeling agencies do search prospects on internet. Therefore a reasonably fast operating website will serves the purpose and will assist in getting discovered along with your portfolio and chances of enhanced work proposal becomes more. Here Mega Model Hunt invites you to join in to go through the startup stages successfully in a very organized and ethical way. Modeling is a serious Profession, basically founded on passion. Each Profession establishes a life style which has profound impact on individuals as well as on society. Every Life style has a span which is bench marked by a few distinct stages and each stage having its own ethics and ethos. A modeling aspirant must know the life style and stages through which one has to live through so that one is prepared at the outset and ready to accept challenges. Like any Life style/Profession, there are stages of growth in modeling as well. These could be pre-modeling, the modeling and post modeling. Each stage has its own span, Peculiarities, Challenges, Commitments (to self, family and Society) and opportunities. The Pre-modeling stage (Prospective model) is very difficult one. It is not very easy one to start the journey, become model and conclude. The path to success is interspersed many obstacles/bottlenecks like hard efforts, rejections, disappointments, family/social support and the hazards of life amplified many times by the presence of modeling crucible. This could also be called “go to” stage where one has to go to see photographs, Castings, Bookers, Agencies and art directors etc. This is how an aspirant become model, a model becomes professional and eventually a super model. The competition is very tough and one has to take it on squarely. The next stage of modeling commences when the first job comes. A working model can expect a myriad of dilemmas, Challenges and pitfalls as one move into higher paying jobs which leads to move success. In modeling business, Success breeds success. When a good agency signs you, your life can change radically sometimes for better and at times for worse also. One has to be ready for change. The modeling industry is rife with the stories of models that lose it. The pressure to maintain a body look can be too much for some people. Some models turn to illegal drugs, especially cocaine and methamphetamine to relieve the pressure and maintain or lose weight. But all this is detrimental to health. The working life for model is very busy. Pre-shot preparation causes lots of stress and consume tremendous amount of time. The beginning of post modeling life will vary with each individual. There are models that start at very young teen age and continued into their advanced years (into their sixties). There are a few starts, hit it big for a couple of years and then retire to a quiet life of family. Many end up marrying to celebrities, sports stars or wealthy men that they have met while enjoying the glamorous life style of successful modeling. There are models that enjoyed successful careers and moved onto teaching modeling or even representing models and there are a few those move into acting and become stars and household names. Like any other profession modeling also goes through various stages of its working span. Aspirants must be aware of these facts so that they are able to plan this life and move ahead accordingly. 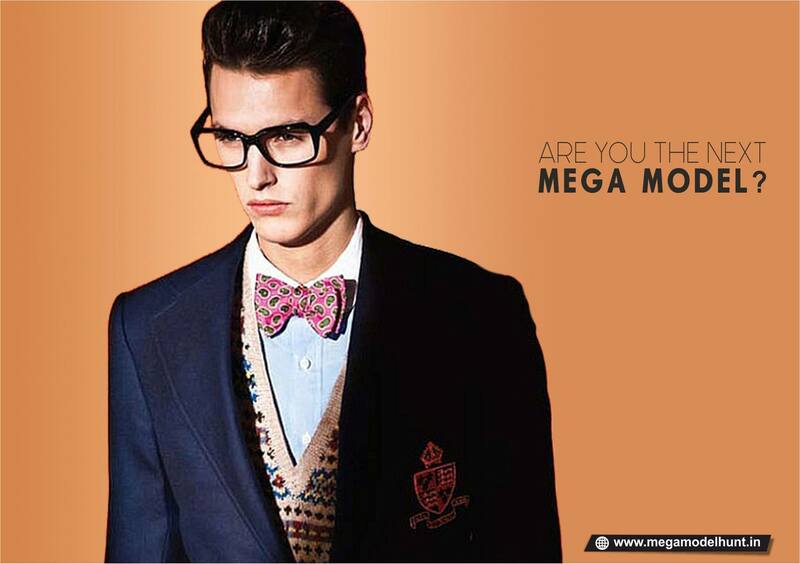 We at, Mega Model Hunt will train and empower the young aspirants to be a successful model and plan their future well. Therefore avail this opportunity to be associated with Mega Model Hunt to reap fruits of this national level platform which its committed to guide you into the profession of modeling with ethics and ethos.